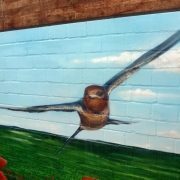 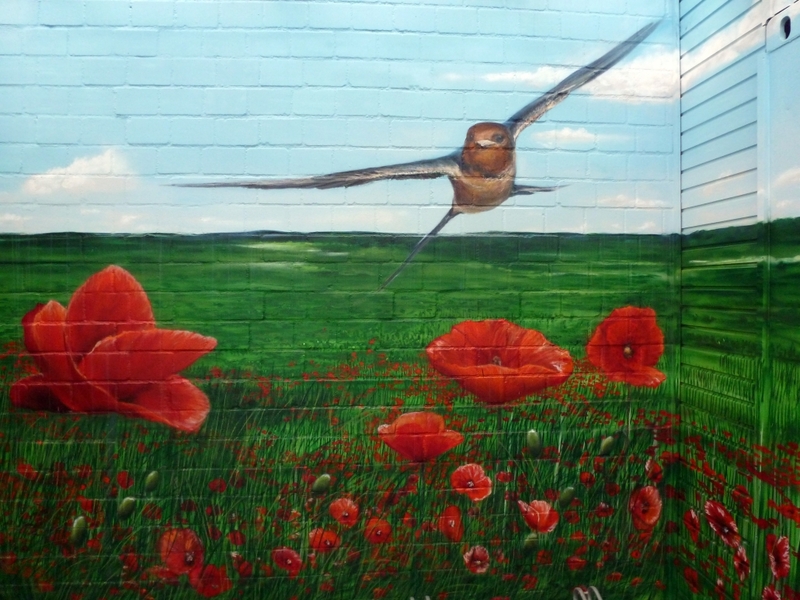 In addition to all types of facade and surface designs, we also offer graffiti designs. 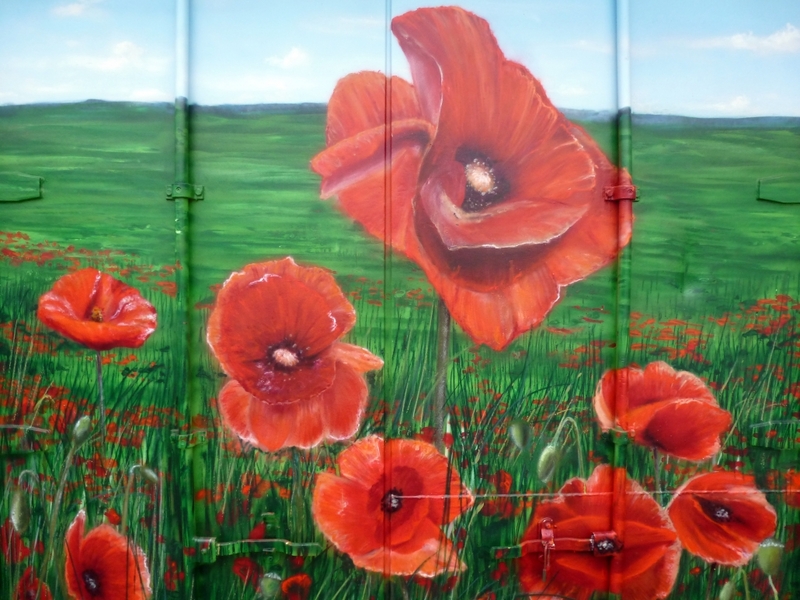 Various motifs are available. 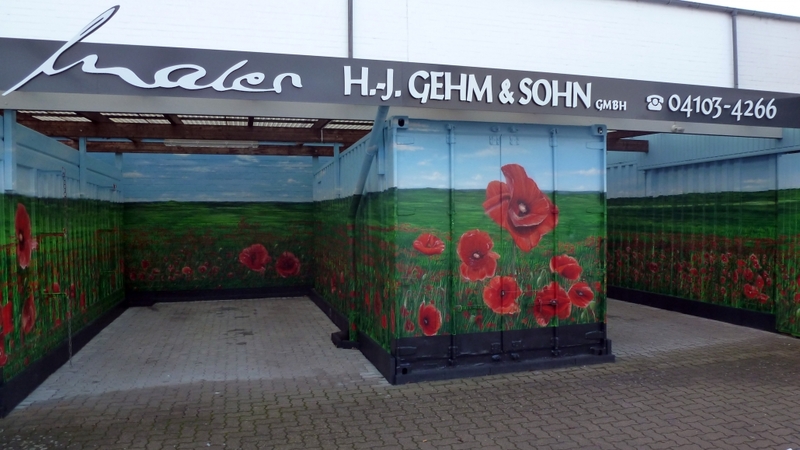 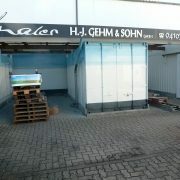 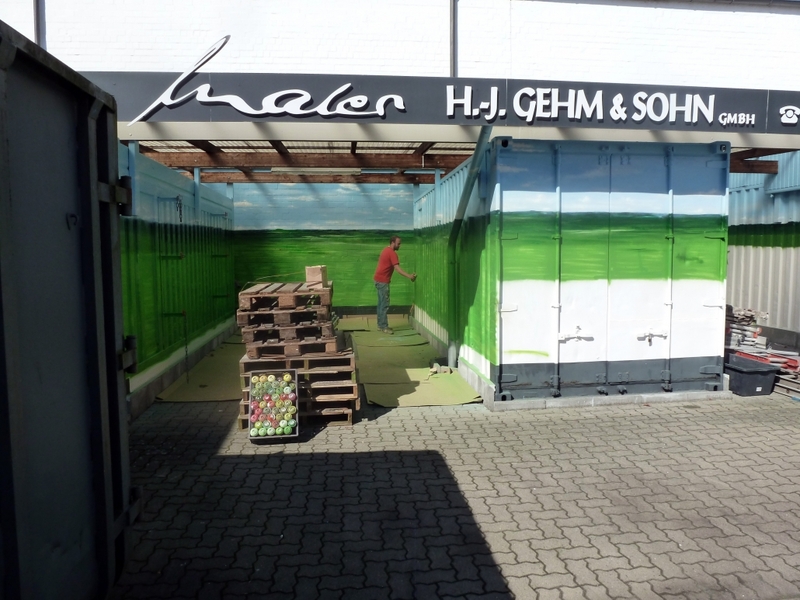 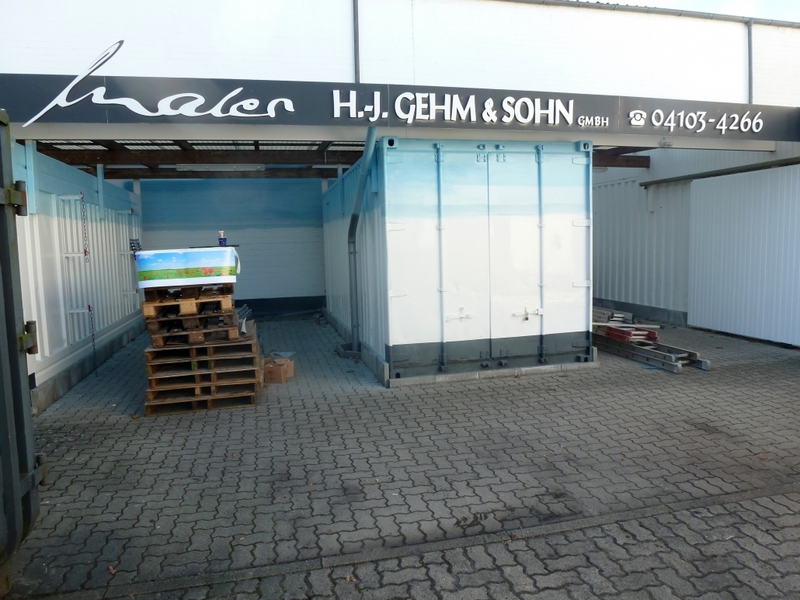 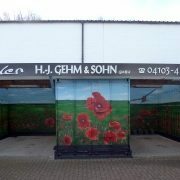 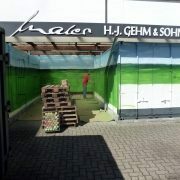 On our business premises in Wedel, we had several ISO containers and the adjacent facade sprayed with a graffiti design measuring 68 m². 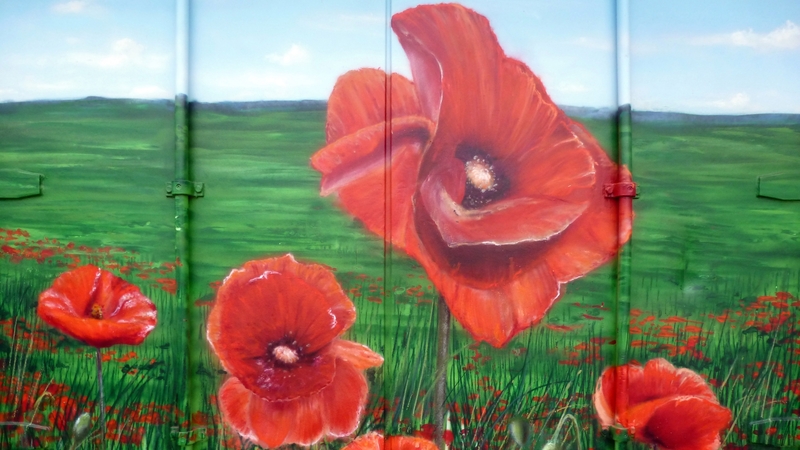 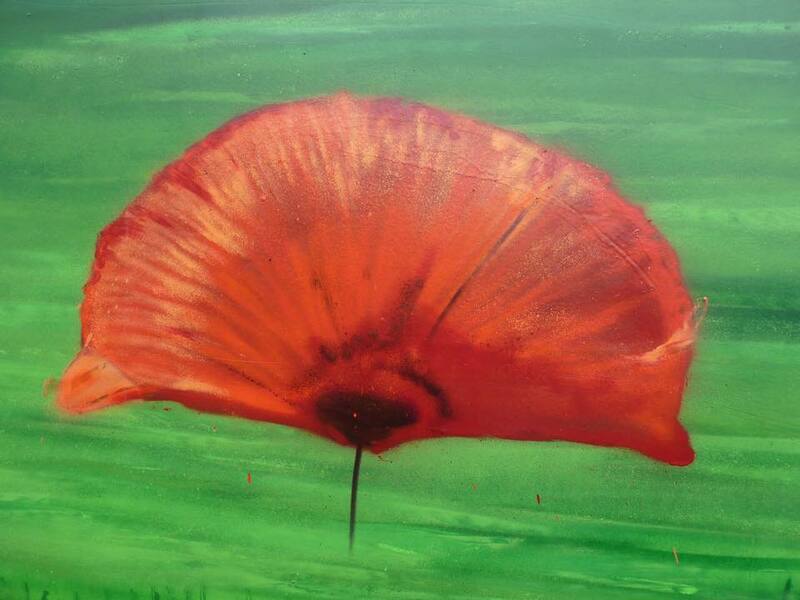 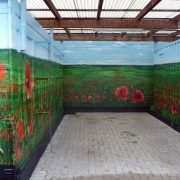 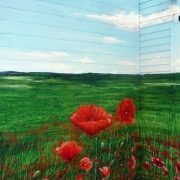 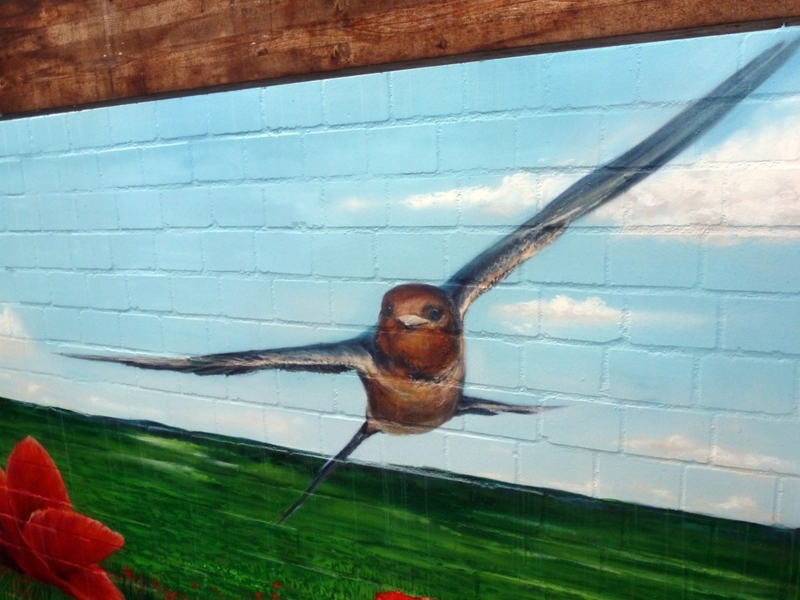 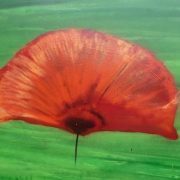 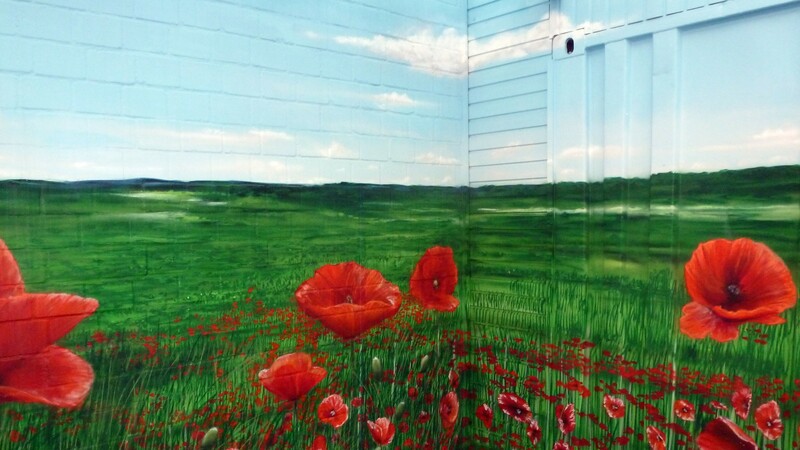 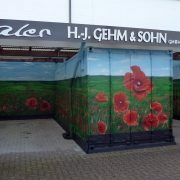 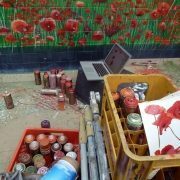 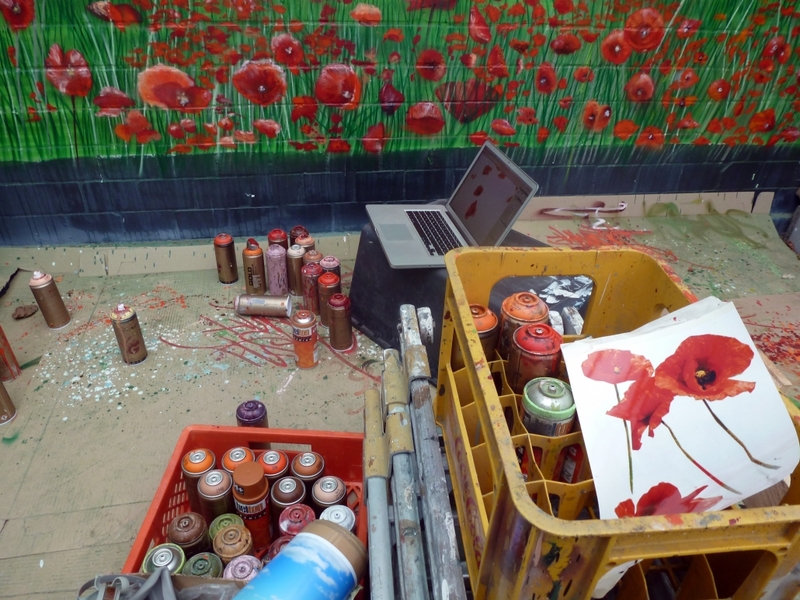 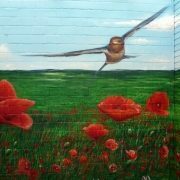 The brightly coloured motif of a poppy field was created with spray cans in a realistic style. 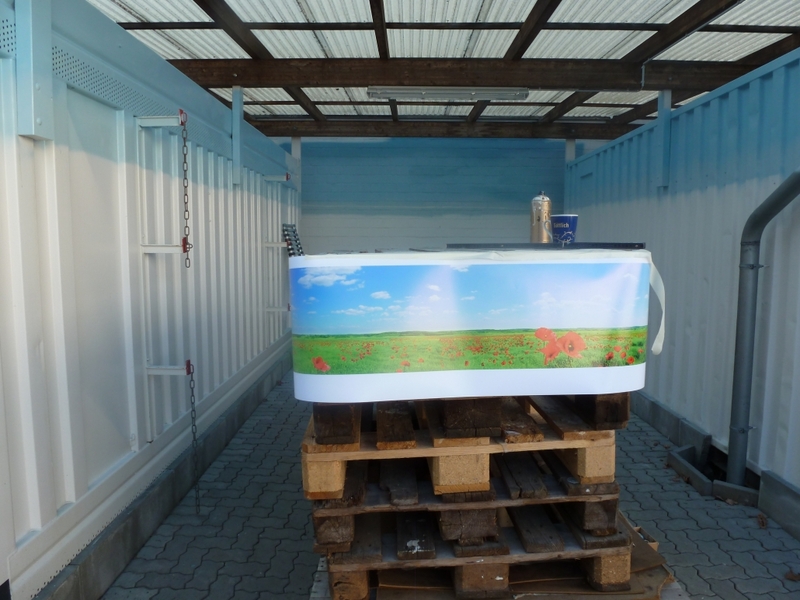 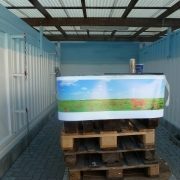 The various different surfaces were a challenge, as was the spatial depth created by the positioning of the containers. 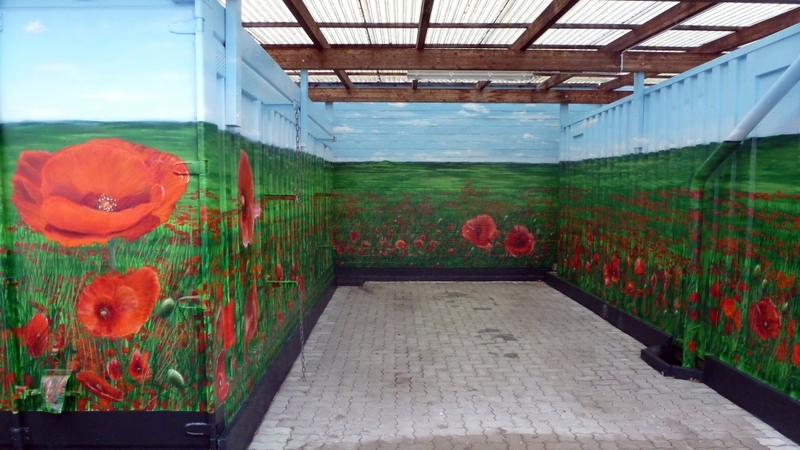 Seen from the front, the motif appears in full. 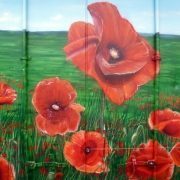 The term “graffiti” is the plural form of the Italian word “graffito”, which originally means “a scratched drawing or writing” and is used to describe, among other things, an inscription carved in stone. 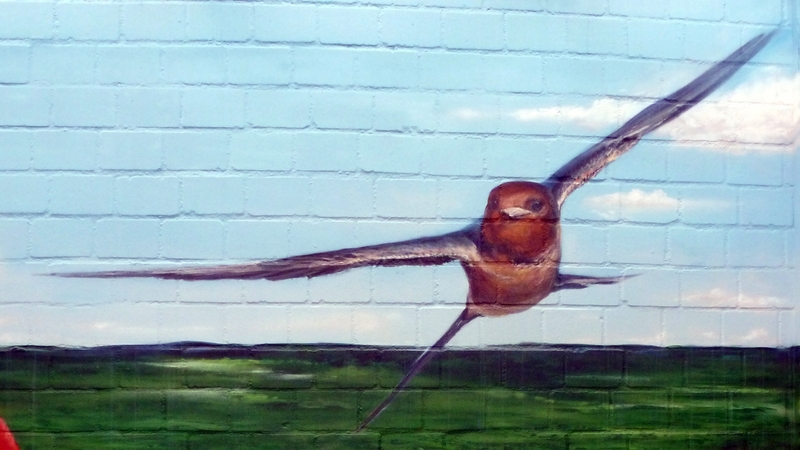 Since the 1960s, “graffiti” has further been used as a collective term for different pieces of writing created on surfaces in private and public spaces using a range of techniques. 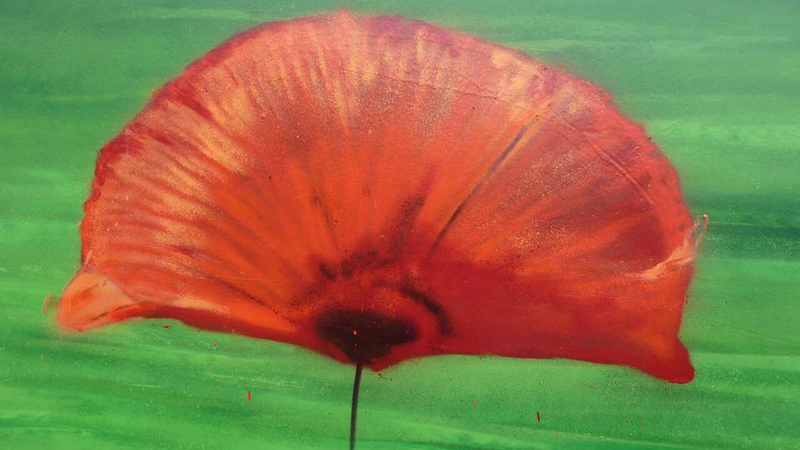 The designs range from simple signatures to elaborate personalised letters and figurative works or “characters”. 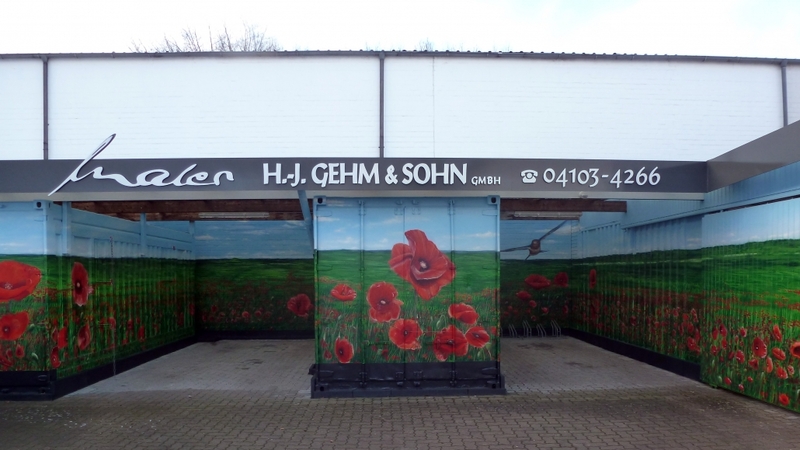 In the last 15 years, a number of German graffiti artists have succeeded in establishing themselves on the global art market due to their photorealistic and vivid style.